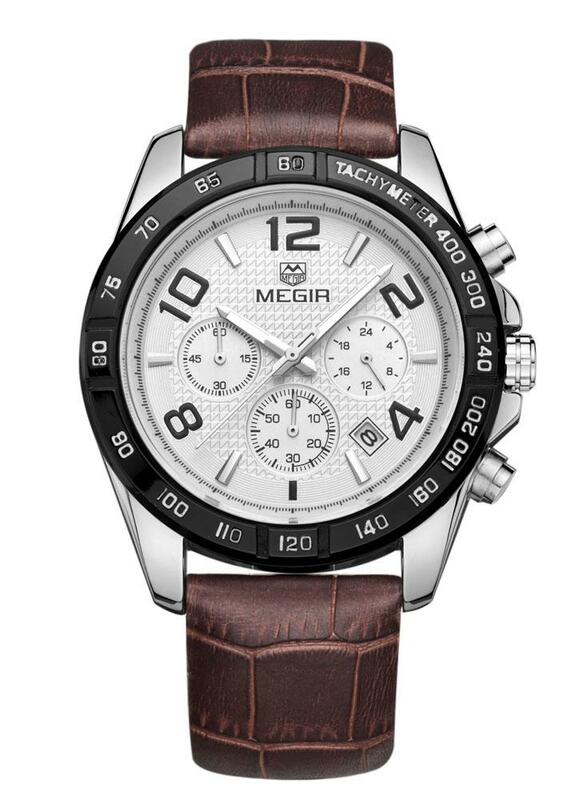 A wristwatch that has 3 sub-dial to display second chronograph, minute chronograph and 24 hour. Precise quartz movement with analog display. Comfortable PU watchband with fine stitching craftmanship. 3 sub-dial has the function of second chronograph, minute chronograph and 24 hour.